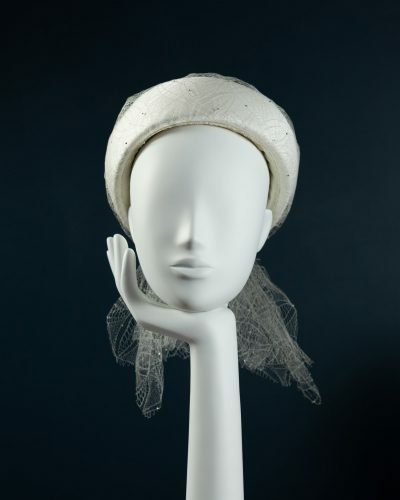 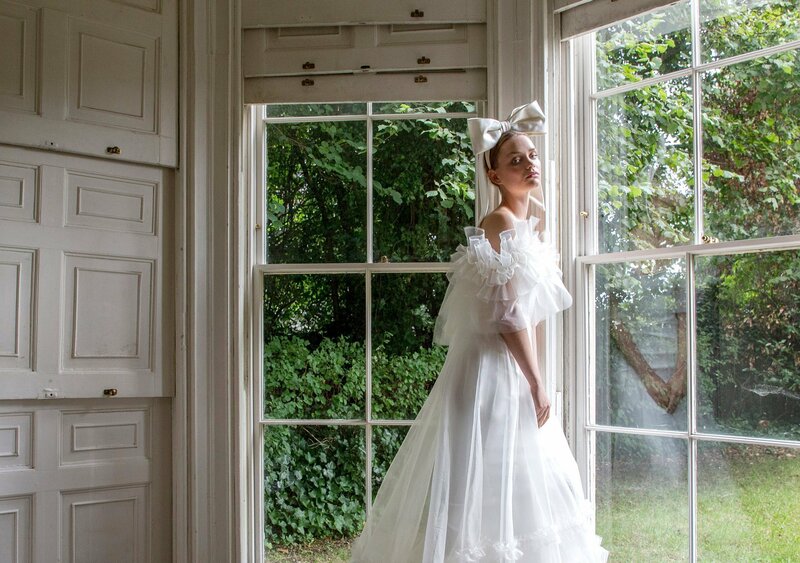 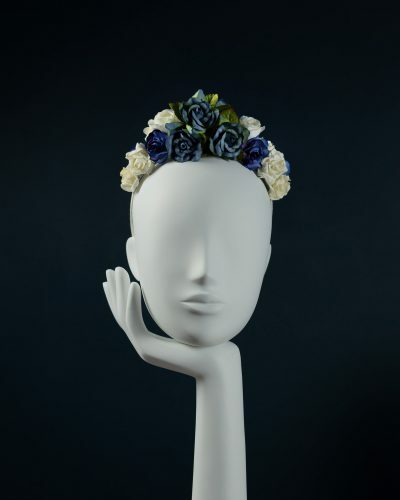 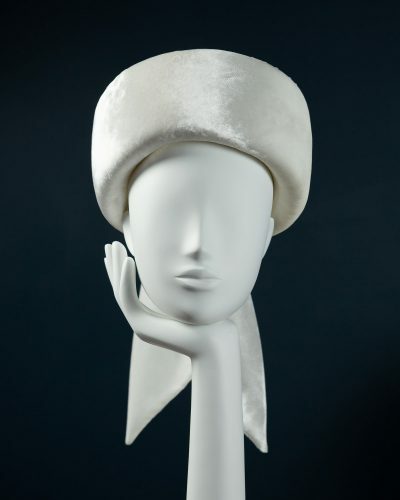 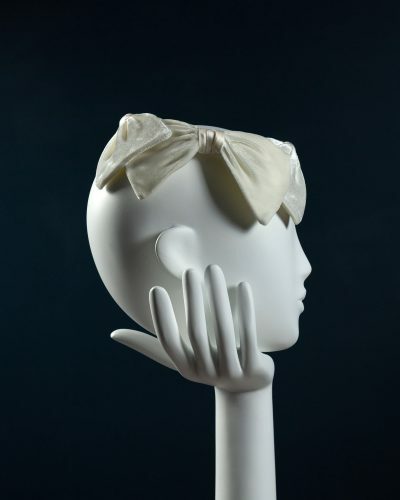 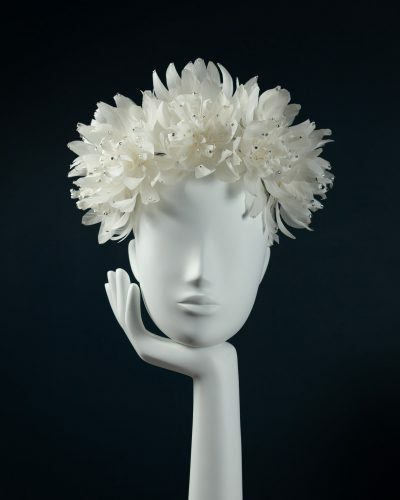 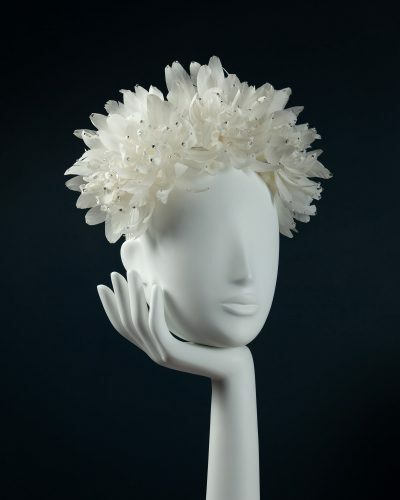 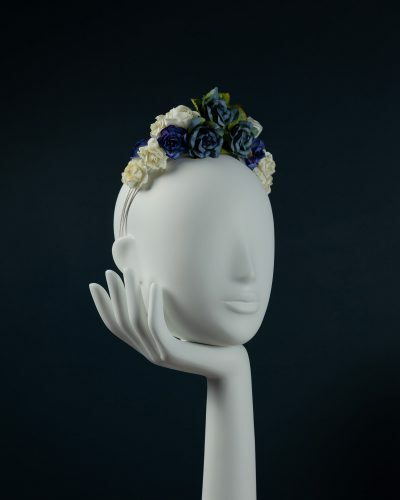 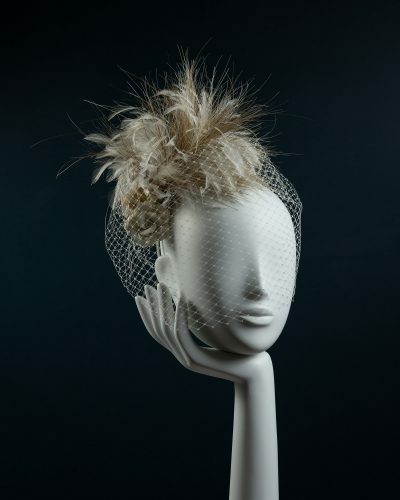 In collaboration with luxury bridal-wear designer Halfpenny London, Fi Graham has created a selection of sumptuous headpieces that compliment the dresses and separates featured in Halfpenny London’s The Air That We Breathe collection. 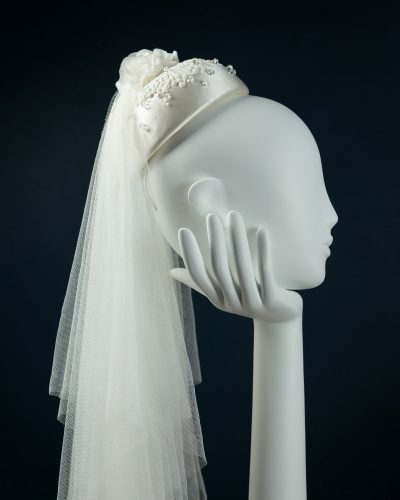 Each headpiece has been completely handcrafted by Fi in her London studio and designed with the modern, yet romantic bride in mind. 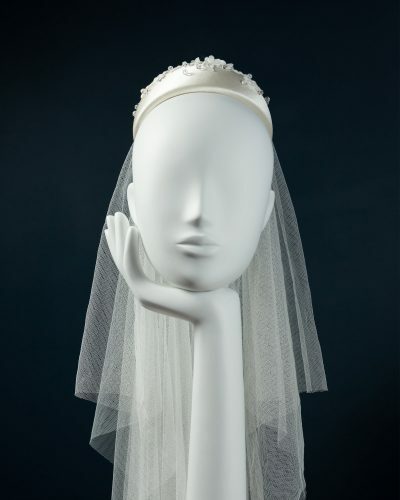 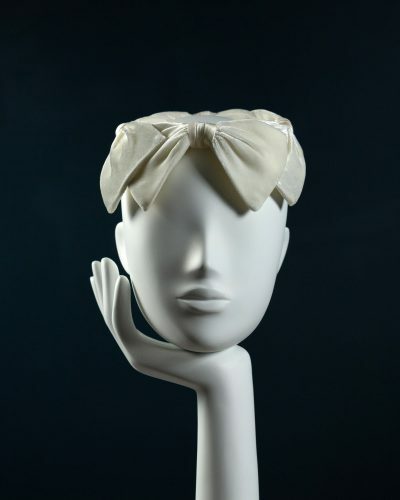 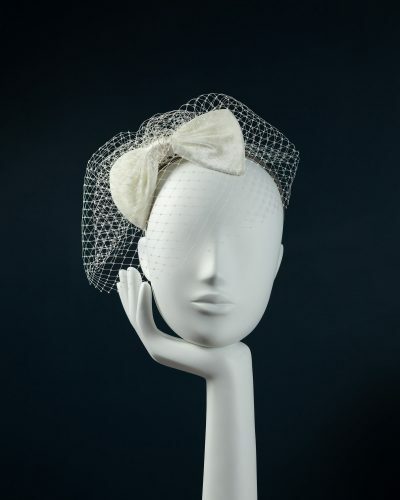 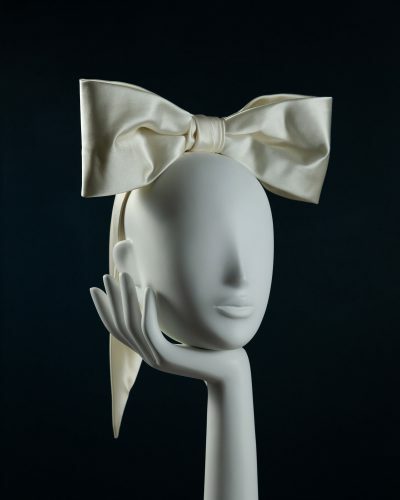 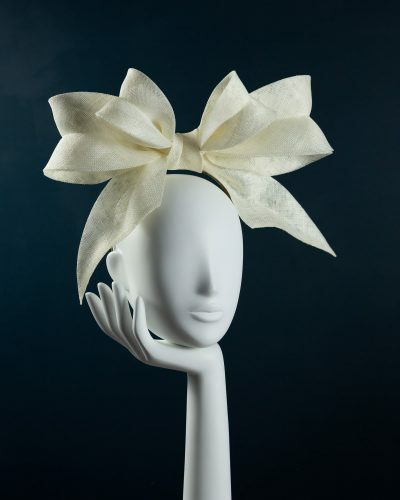 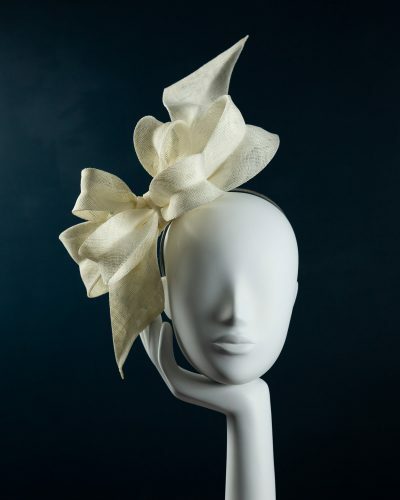 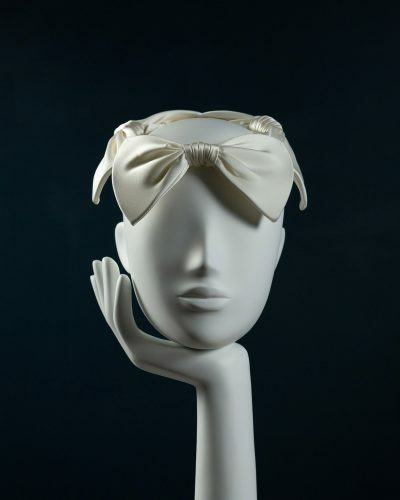 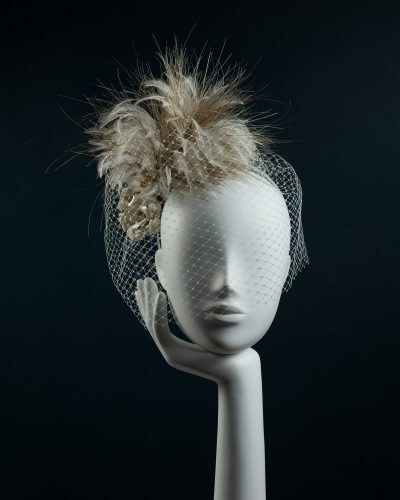 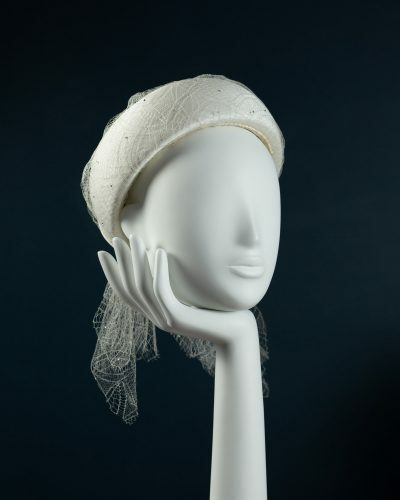 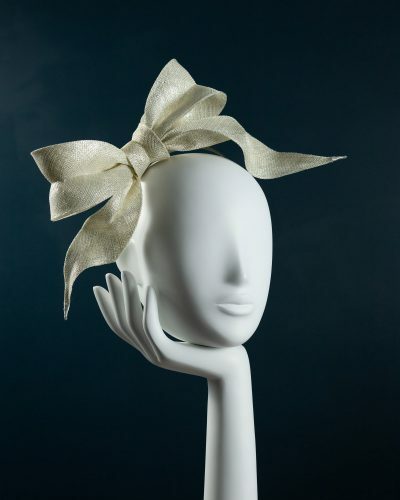 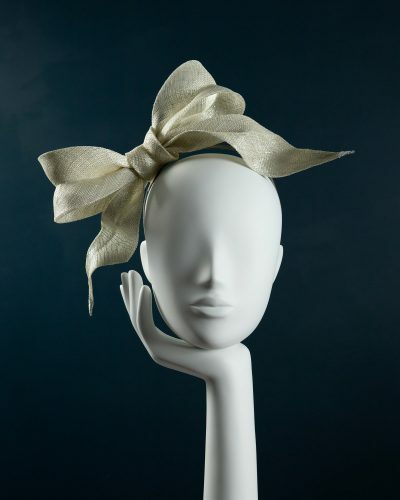 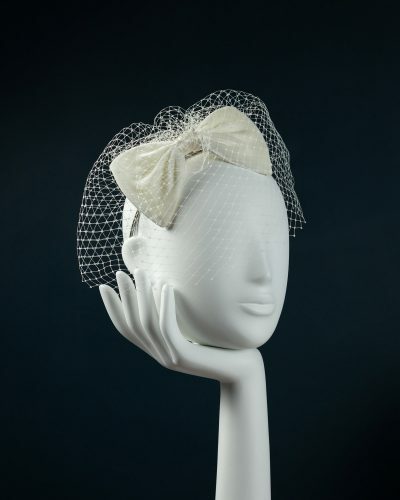 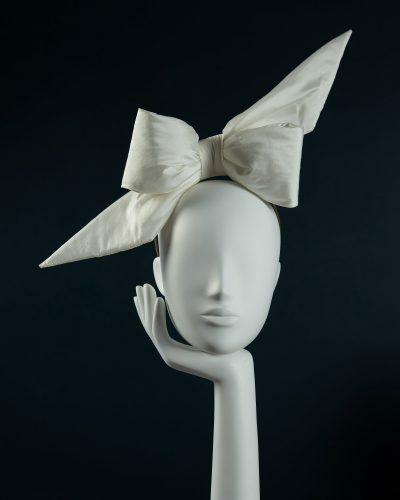 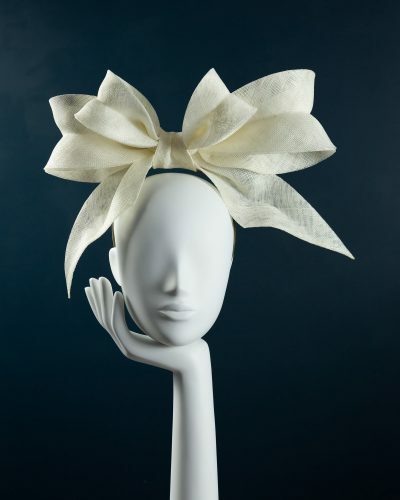 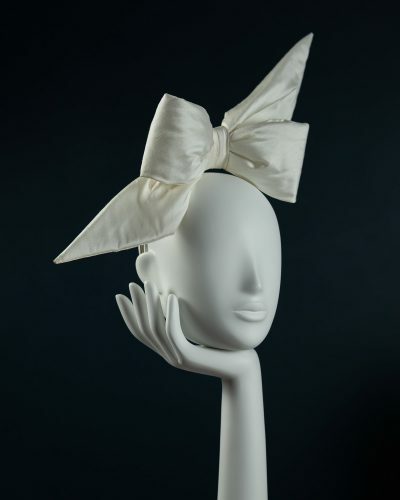 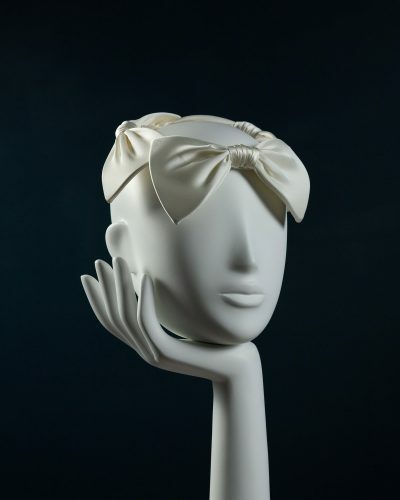 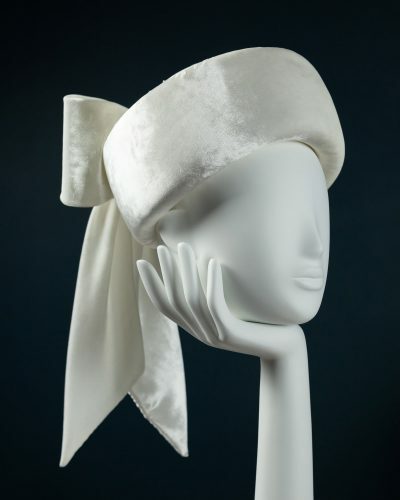 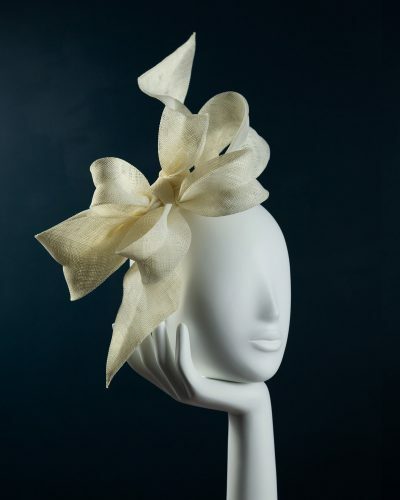 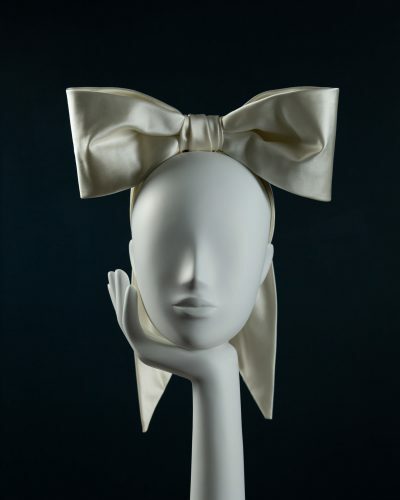 The headpieces also form part of Fi’s latest bridal couture collection – ‘The Bow Collection’ – seen here, made with the finest materials such as duchess silk satins and velvets.